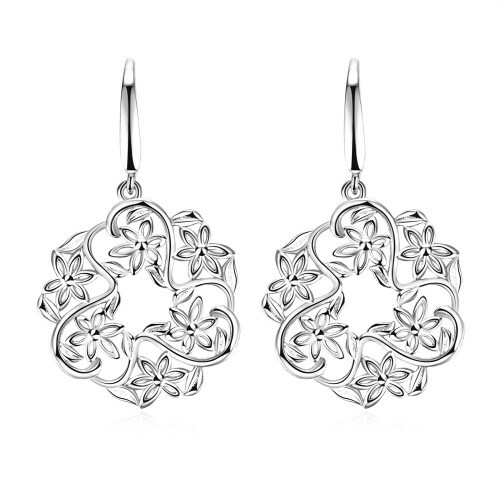 These stylish round silver plated earrings feature a medley of cut out flowers in a contemporary design. 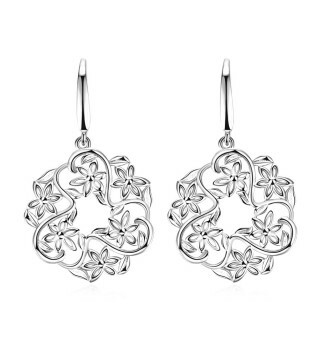 Each pair of round, dangle earrings measures approximately 37mm long x 22mm wide (including the ear wires). Buying as a gift? Choose from our range of quality jewellery gift packaging to provide the perfect first impression.